The Pontiac’s interior seems to have an overall grey haze to everything. 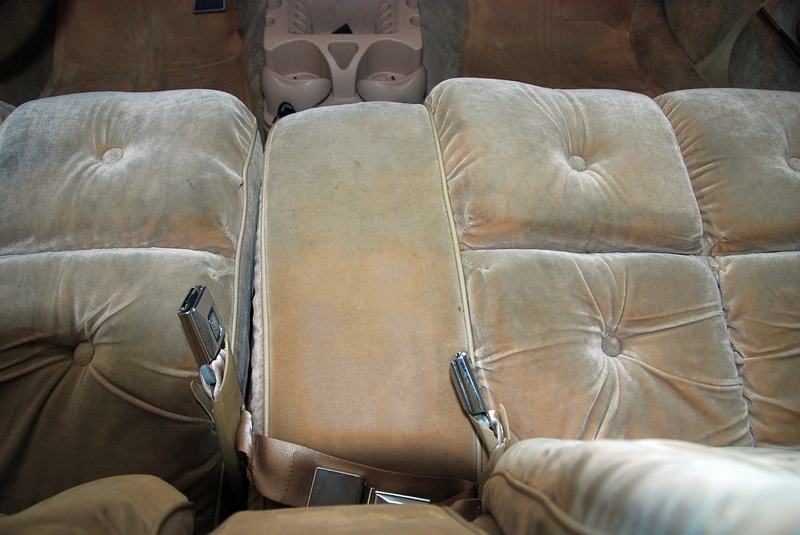 Strangely, for a vehicle with a tan interior, the dash is brown and unaffected, but the rest of the car looks like it was regularly parked a short distance from coal mine. The carpeting is the thickest shag that I’ve seen anywhere outside of a 70’s living room and I despair of ever seeing it clean again. 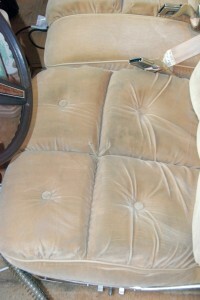 Based on that I decided that the thick velvet upholstery was a much better starting point for my cleaning attempts. 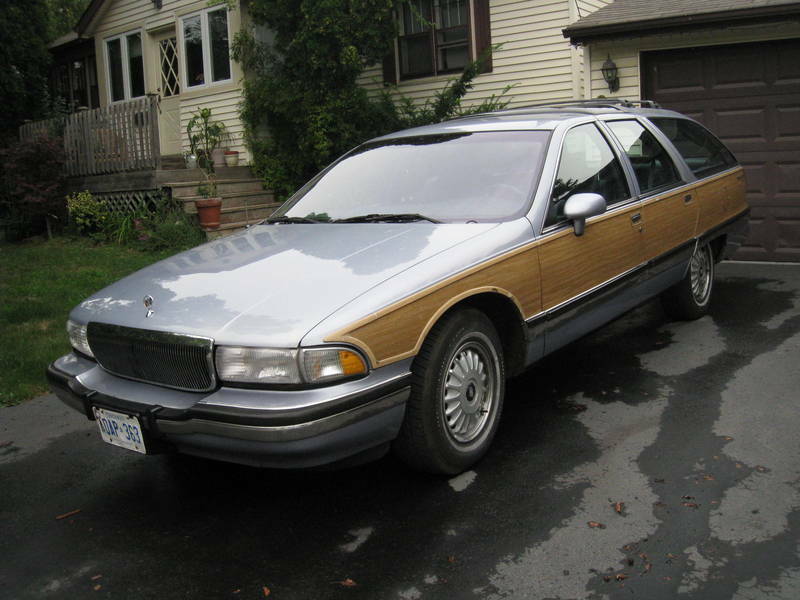 When I got the car it seemed a little grubby but it didn’t bother me overmuch. The longer I keep it the more strongly I feel about getting it clean. As you can see, it’s not exactly the sort of thing that you want to climb into with your Sunday best on. The fabric has been cleaned several times and there’s no risk of transferring the dirt to clothing but it just looks like something you don’t want to sit in. 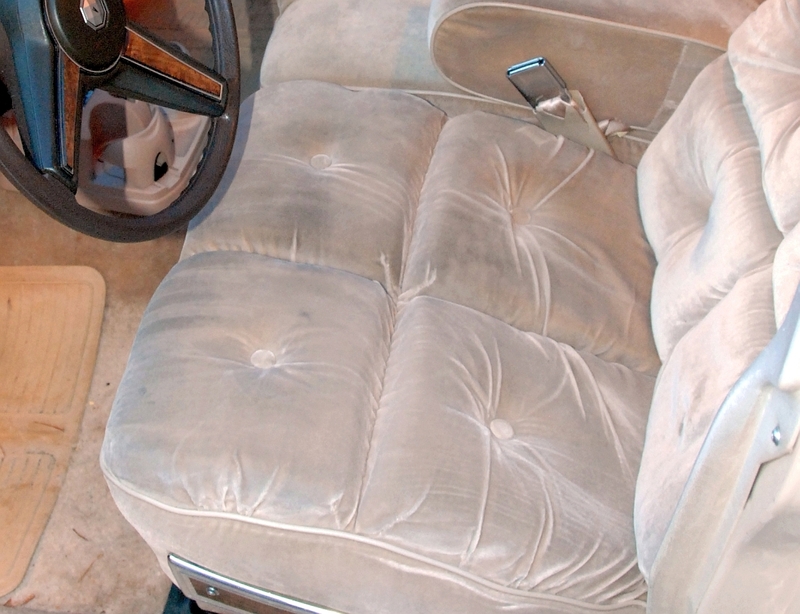 Originally I wasn’t too concerned about the interior but I rarely have a car long before the detailing bug bites and I want to see it back to factory clean. I’m not sure that’s going to happen here but it’s worth a shot. Originally I started with a small fluid-based, electric, stain cleaner. After several attempts I saw no change in the fabric at all so I went to the Internet and started looking into what other folks are doing. A lot of people seem to be pretty taken with Folex Stain Remover so that was my next attempt. It took a while to find a local store that sells Folex but ultimately I brought a bottle home and got started. I sprayed it on the center divider between the front seats. There are no wrinkles in that fabric and I figured that it would have the greatest room for improvement since the center armrest has been covering a portion of the fabric. The line between clean and dirty was pretty noticeable. I sprayed Folex on the fabric and let it soak in for quite a while. 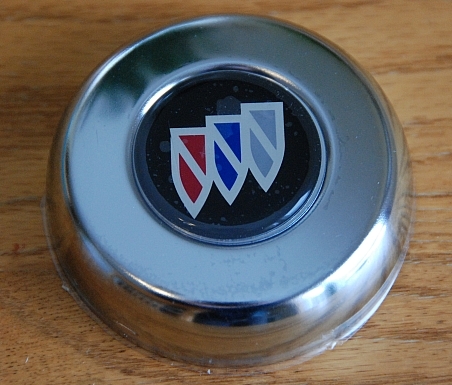 In fact I let it soak while I went to clean the master cylinder on the Roadmaster. See the result of that here. Once it had soaked for a while I scrubbed the whole area with a nylon brush until I figured I had loosened up all of the dirt, and then I scrubbed it some more for good measure. I then fired up my portable stain cleaning machine filled with hot water and a stain cleaning fluid and worked the whole area over again. After it was done I could see that, while it wasn’t in like new condition, it was cleaner than when I started. Seeing that amount of change is at least somewhat rewarding. 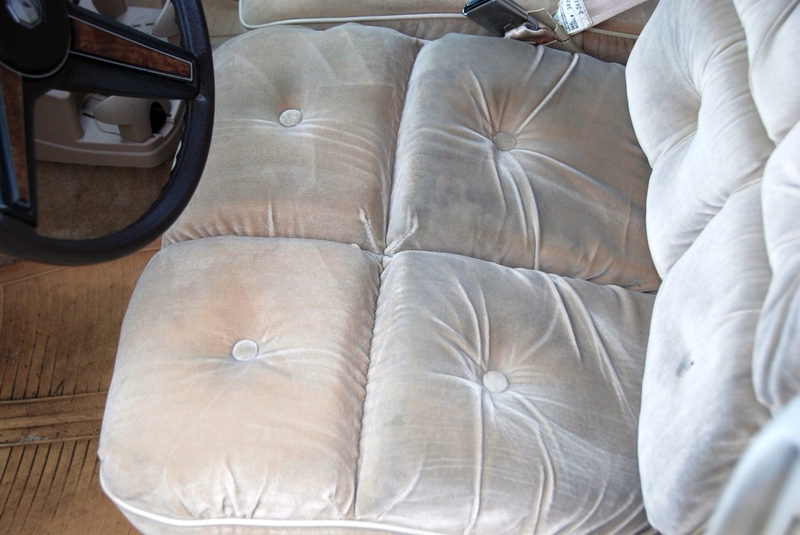 I moved on to the front two cushions of the drivers seat hoping that by cleaning only two cushions I could see a dramatic difference. I repeated the whole soak, scrub, clean, rinse process here but since the dirt on these cushions had been subjected to 30 years worth of keisters forcing the dirt into the fibres I let the Folex soak quite a bit longer and I really gave it a good working over with the scrub brush before cleaning and rinsing. You can see here that the results were less than perfect. Clearly these seats are going to be resistant to cleaning! By this time I had been in the garage for several hours. The cleaning of the Roadmaster’s engine compartment and wiper hose repair were fast becoming the more gratifying project so I closed up the Pontiac and left it for next time. When I came back to it, I tackled a single cushion this time in the hopes of again seeing the difference between a cushion that had been cleaned with Folex once vs a cushion that had been through the treatment twice. I also soaked down the edges of the cushions as well. I was able to see still more improvement with the second application of the cleaning solution. It seems to me like this is likely to take a fair amount of time (and Folex) before I start getting these cushions to the level of clean that I would really like to see. The picture shows it all. 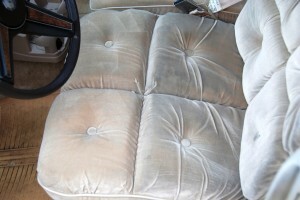 The rear cushions have been untouched while the front cushion furthest from the camera has been cleaned once and the one closest to the camera has been cleaned twice. I hate the idea of taking it in for detailing and let someone else get the glory, but at this rate my Folex costs may very well work out about even. Perhaps I’ll give it another 10 to 12 tries before I decide whether or not to quit. The only thing other than Folex that I’ve found to clean really well is Tuff Stuff. Maybe it’ll work quicker than Folex in this situation. 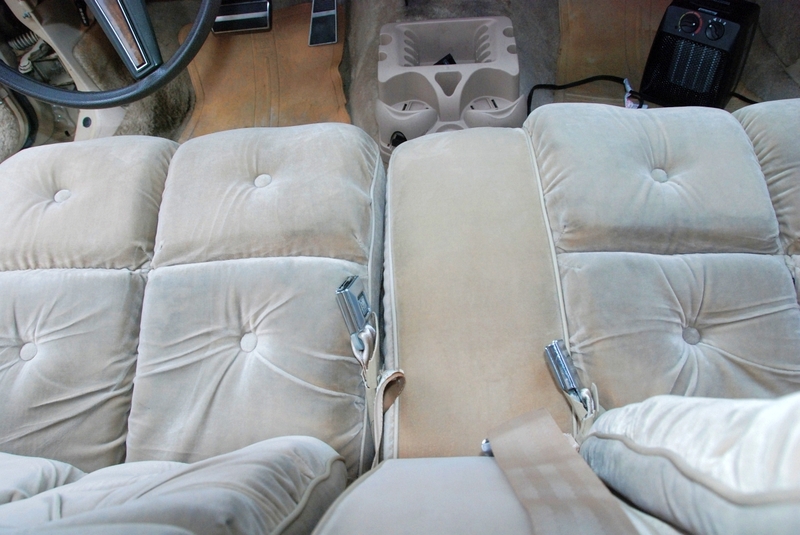 I’d be tempted to pull the seats out of the car and use a rental carpet cleaner machine.